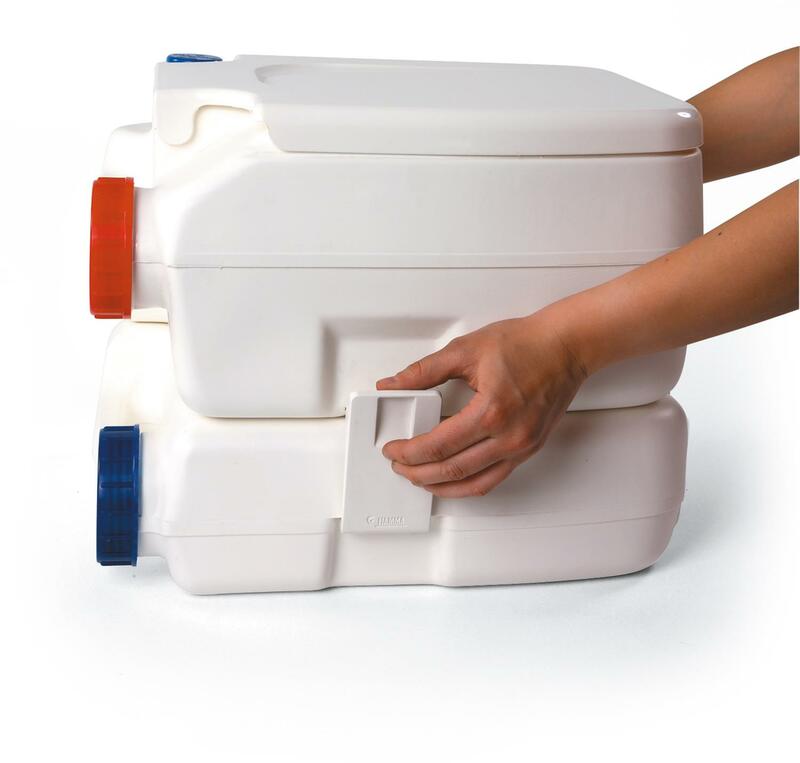 The new improved strong fiamma portable toilet. 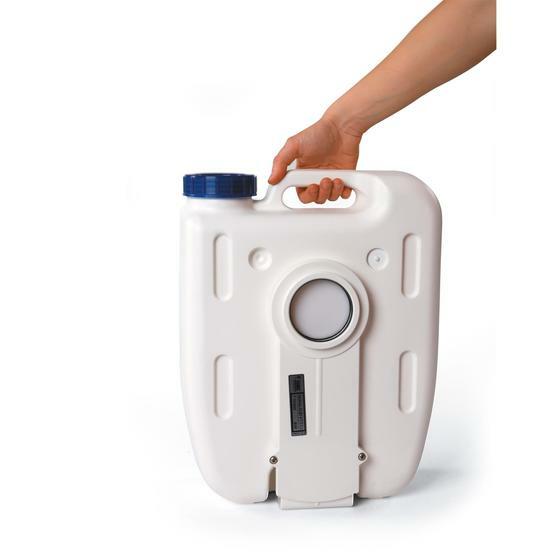 Fiamma Bi-Pot is a simple, strong self-contained fresh water flush portable toilet. A very simple system that is both strong and easy to clean. 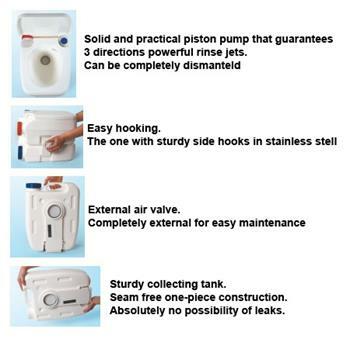 Compact, it can be completely dismantled., including the valve, for thorough and total cleaning. 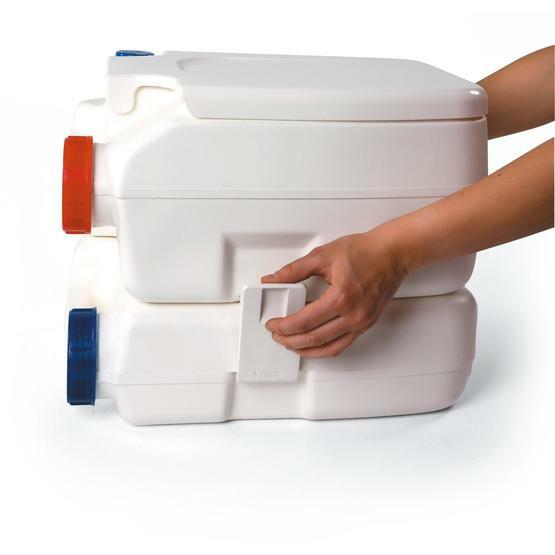 Sturdy and solid handle for easy transportation. 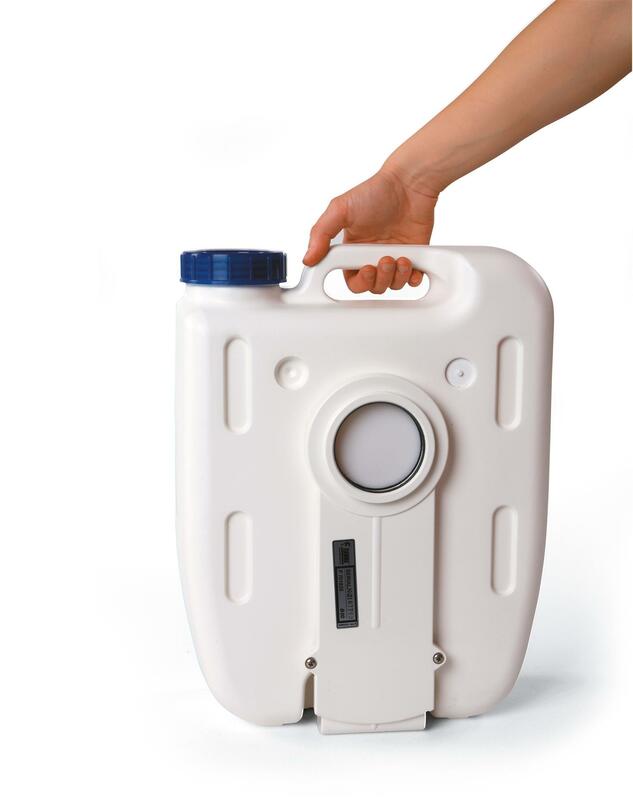 Large waste cap: no drainpipe, emptying is easy and hygienic, no clogging. 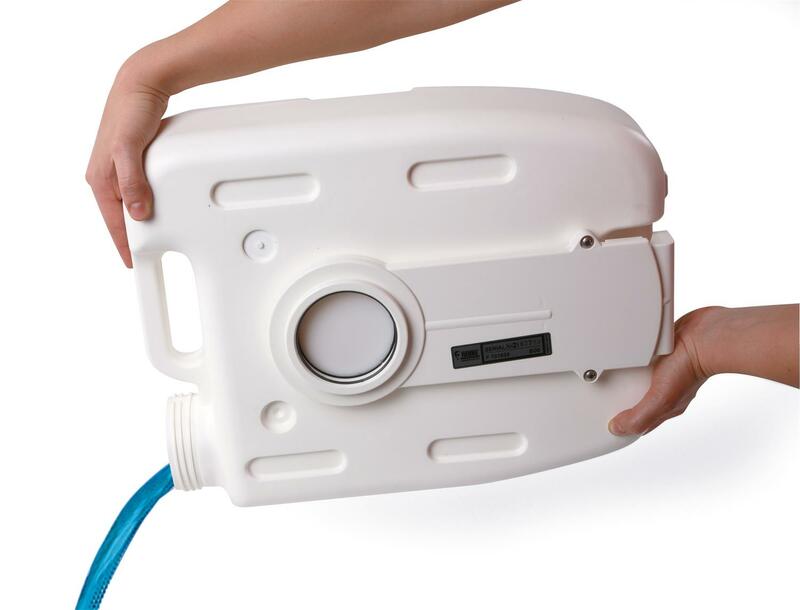 Each tank is electronically tested for a perfect seal. Handy side clips to connect the uper and lower tanks. 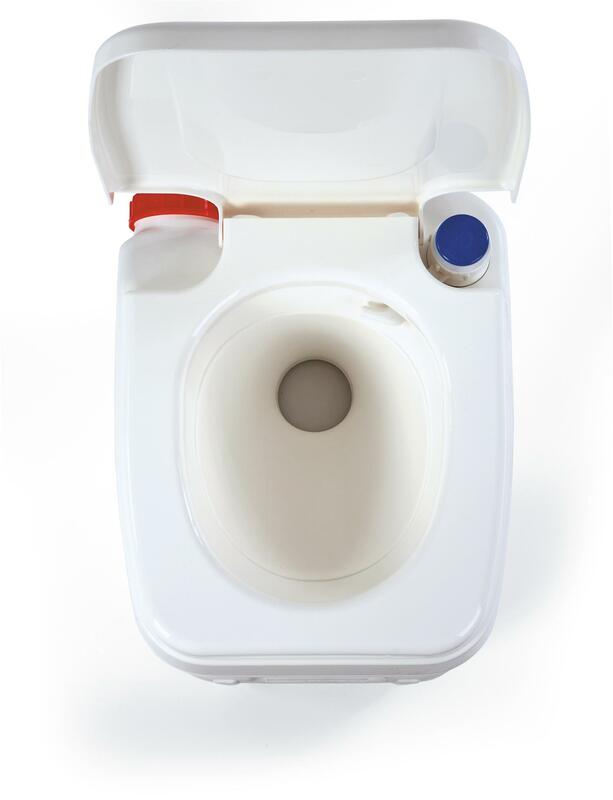 Bidet available as an optional extra. 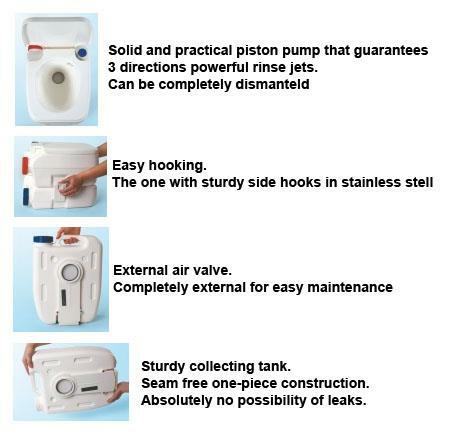 Solid and practical piston pump that guarantees three powerful directional rinse jets. It can be completely dismantled. Easy hooking The only one with sturdy side hooks in stainless steel! 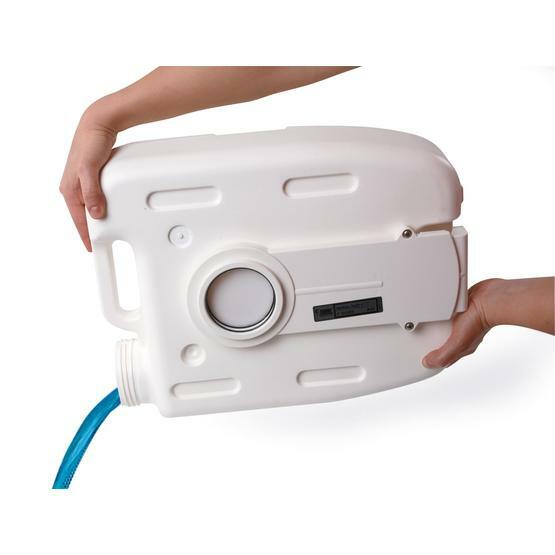 External Air valve Completely external for easy maintenance. 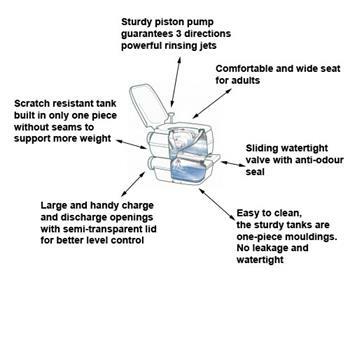 Sturdy collecting tank Seam-free one-piece construction. Absolutely no possibility of leaks. 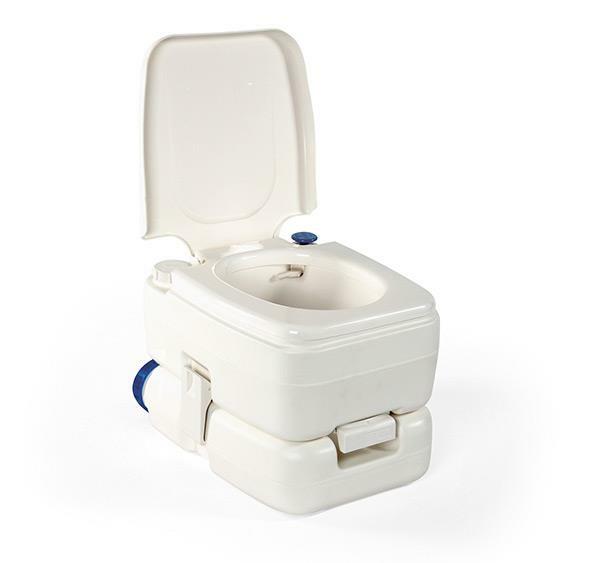 Small Bi-Pot which replaces the 1513.
this item is very good value for money. 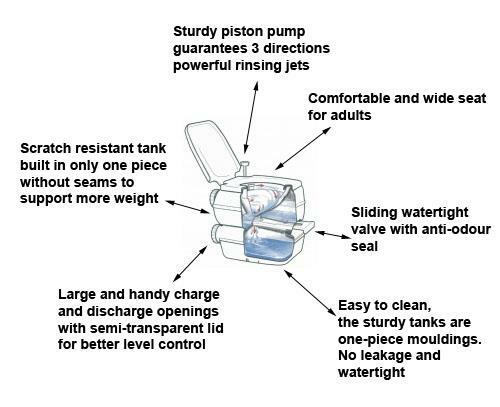 the flush system works fine the only thing you need to check is the seal around the screw top of the flush pump might not have been seated properly when the item was assembled this causes a leak when u pump i recommend checking this before adding water and flush agent to the top tank. 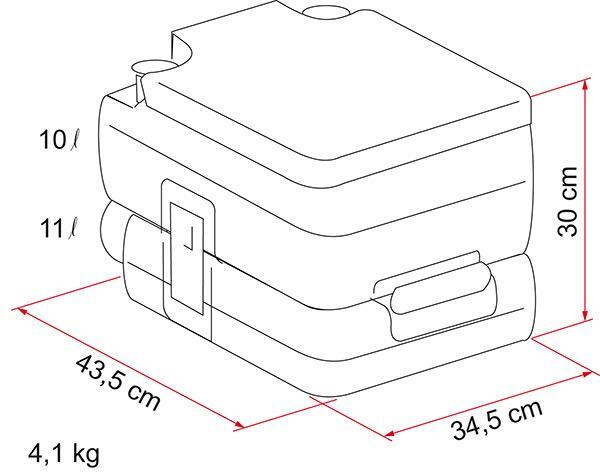 also i would personally only use these toiellts for light use and not too much heavy use as if you fill them up they weigh alot to carry to the waste disposal point. 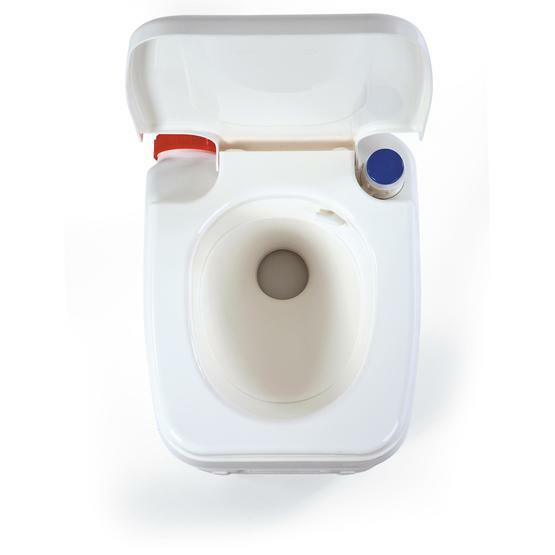 this item is perfect for sticking in the tent or whatever vehicle you have that doesnt have a toilet for night time emergencies. 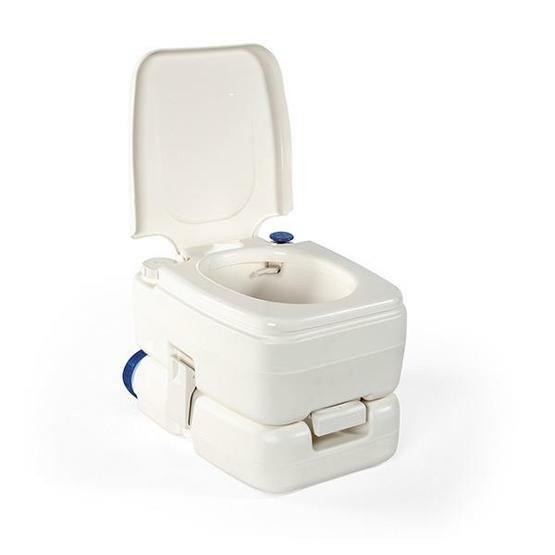 it dosent really replace site toilets but i would highly recommend this item. Brilliant item at a great price, and Fantastic help,assistance and delivery again from Leisureshop direct . 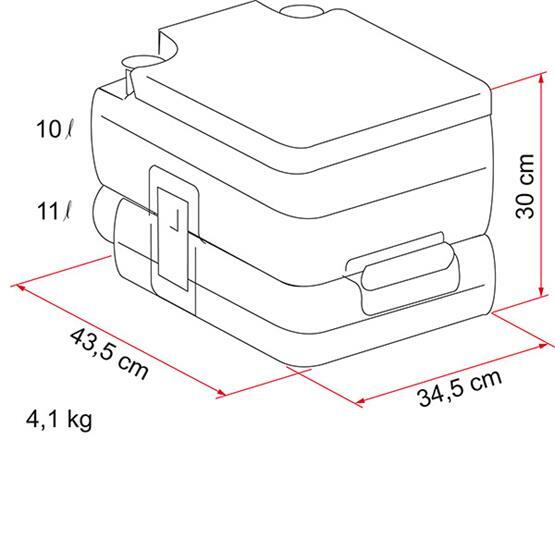 This item is a great addition for use with a folding camper as it stores neatly inside the unit without being too high and obtrusive, and it is well made throughout. Would recommend item and Leisureshop direct. The price was great and delivery in a few days. I didn't realise how low to the floor it would be. It needed emptying much sooner than described. Overall I am pleased with it.